Here is the fifth in a series of profiles with FCs from the most recent war in the north. This time, meet Canfar, of the Delta vane corporation (DVC) in the DARKNESS (DARK.) Alliance. 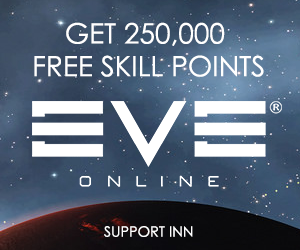 Gray Doc (INN): You started playing EVE in 2008 and have changed corporations quite a bit. Why did you change corps and what led you to your current corp, Delta vane Corp? Canfar: So when I started playing EVE I was playing with a group of my friends and we sort of bounced around. After quite a few years the majority of that corp ended up in Mordus Angels (MOA). From there, some [of my friends] had made friends in Delta vane. So, I left and went and hung around with Black Legion for a bit. When I came back—I had about a year away from EVE—Black Legion wasn’t around anymore, so I just went back to the people that I knew, and that was Delta vane. INN: Do you support Sort Dragon’s decision to seek a ceasefire back in September, which brought six months of peace between the Imperium and DeadCo? Canfar: At the time I didn’t, if I have to be honest. I thought, coming from a background of fighting Imperium for a long time, it was the wrong way to go about it. But after time went by, I think the coalition itself needed to have a break. I don’t think the coalition would be in good shape if we didn’t do that ceasefire. INN: After that ceasefire, some other corps in the Pan Fam group took exception to Sort Dragon’s actions and have started hostilities toward Darkness. Your recent killboard shows you’ve been taking out pilots from Pandemic Horde, Black Legion, and Co2. And you’ve lost some ships to their pilots as well. Does it feel strange to be shooting pilots that were blue to you not long ago? Canfar: Most definitely. We built a pretty good relationship when they were in Fade and Mordus was in Pure Blind and Darkness was in Deklein. We had a really good relationship with them. I think that for the majority of fleets we were actually joining comms together and had a good time. So, turning around and having the opposite, coming out enemies on the other side of the [recent] war, was quite difficult. INN: You were shooting at buddies that you had been FCing with not long before. Canfar: Yeah, most definitely. A few of those corps that were in Darkness actually joined Black Legion and Horde and we [now] see friends on the battlefield that we once had a really close relationship with. Now we try to use that strategically against them. INN: Given EVE history of the past couple years, is it fair to say you’d rather be shooting at Goons than Pan Fam? Canfar: The hard thing for us was, like with Pan Fam, they had a lot of friendly neutral fleets where we all sort of helped each other out and we built relationships up with that. But the last couple of weeks has shown me that no matter what relationships you make in EVE, it doesn’t take much to tear them. At least one thing we know is that Imperium has held their word. INN: What kind of fleets are you running now as an FC? Canfar: I mostly run Ferox fleets, things like that, retributions and bombers. Whatever situation arises I’m quite comfortable with it. I like to run mostly smaller stuff, especially in the Yankee time zone. INN: When did you start to FC and how would you describe those early experiences? Canfar: I started just dabbling when my corp was in Wildly Inappropriate in Geminate. I was just testing the waters. That corp fell into an alliance and my FC role became more permanent. Then I made my way to MOA; that’s when I started stepping up as alliance FC coordinator for MOA and strategic FC in GotG. INN: Do you feel your skills as an FC are being recognized and appreciated now in Delta vane and Darkness? Canfar: You definitely get a lot more exposure. When we were in MOA, we were like little brothers, a little bit of a retarded brother, as some people would say. Now, being in Darkness itself, I have a communication gateway with the rest of the FCs and I’m starting to get a little more known. INN: In the past couple of years, what have been some of your favorite moments as an FC? Canfar: It would probably be the early days when (Asher Elias’) fleet arrived in Pure Blind. We had some good fights there. We had some bad times where we decided to take Eagles against Asher’s stuff, but we also had some good times had some really good fleets. I’ve had so many fleets in the last two years it’s getting hard to distinguish each one. INN: Any situations as an FC that you wish you could take back? Canfar: Yeah, definitely. I remember we were attacking a Fortizar in Pure Blind, one that Asher dropped. We formed with Eagles and he had bombers and he bombed us. That would have been a nice one to take back. INN: What do you think will happen up north now that we see open war between groups that once were allies? How do you see this playing out? Canfar: We still have a good relationship with NCdot. I believe Horde will be returning to Geminate at some point, so they will be focused on the war that is brewing up in Geminate. We need time when we can just rebuild all the infrastructure and everything we lost to Imperium. The factioning is certainly not the best way to do it at this point. We need to work out a way of trying to regroup and put some Band-Aids on the old wounds and look forward. INN: Any special hatreds? Groups you’d really like to see come within range of your fleet’s weapons? Canfar: Not really. I guess the more I FC, the more appreciation I have for different groups. I know, like me, a lot of people are upset with Elo (Knight). But I fought with Elo and as difficult as he can be, sometimes he’s really good at seeing the skills. The same goes for Asher and Kendarr and the other guys. I guess the more you FC and the more you are in the game, you see the skill behind what guys are doing and you can appreciate it. 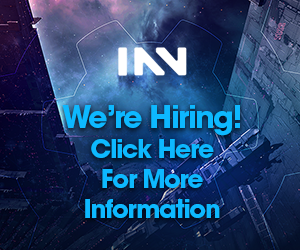 INN: Sum up, in a few sentences, your experiences in EVE Online so far. Canfar: I started off trying to make ISK, as everyone does, trying to learn the game. Then I got to the point where I was a fully-fledged PvP player as well as FC. I also started doing market manipulation to fund my PvP and FC needs. My ambition is to own one of every titan in the game. That is one thing we do, unlike other groups if you make an agreement with us we stick by it.